We have to confess – we are not the biggest fans of coffee. If we want an hot beverage we usually prefer tea or a hot chocolate. However, we love the taste and especially the smell of coffee – the coffee scent from a newly open bag of ground coffee is just fantastic. In the summer time we love to eat ice cream and we make a lot of it ourselves. Homemade ice cream is just much more delicious compared to the ice cream you buy from the grocery store. Ice cream from the store usually contains different additives in order to enhance the taste and make it more stable so that it does not melt that easily in the car on the way back to your home. 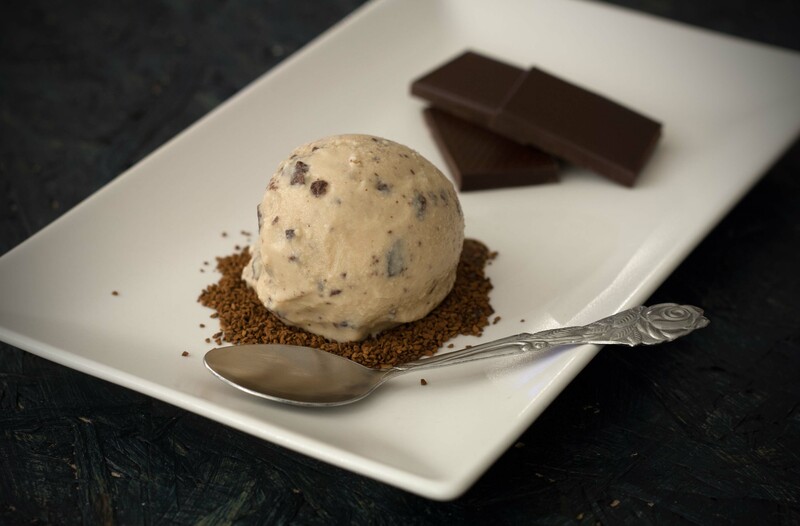 This recipe for coffee ice cream with chocolate pieces only contains 4 different ingredients and are super easy to make and has the most delicious and creamy taste. This is absolutely one of our most simple ice cream recipes. 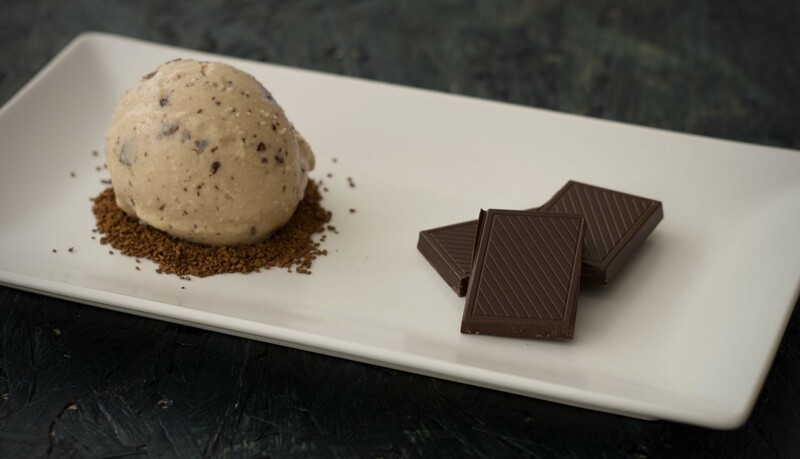 You can make the coffee ice cream with or without the chocolate pieces – however we think the small pieces of dark chocolate goes perfectly with the creamy coffee ice cream. 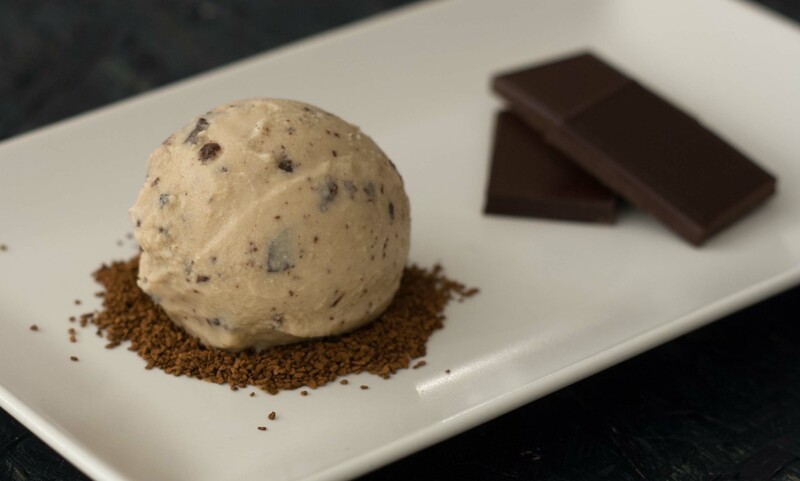 We would also like to recommend our recipe for rich chocolate ice cream with cocoa which has a great taste of chocolate and cocoa, and our creamy hazelnut ice cream with chocolate. Step 1: Start by making the coffee. I used a good quality instant coffee but a freshly made coffee is preferred. If you want an ice cream with a strong taste of coffee you simply just make a stronger coffee. 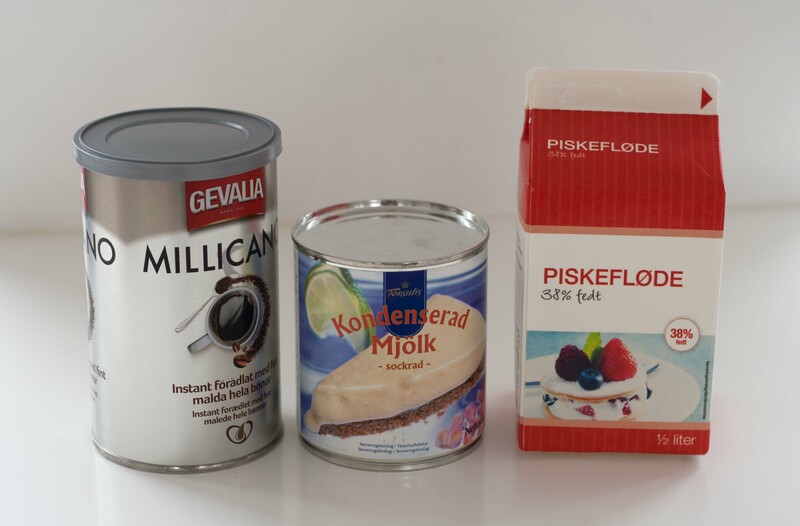 Step 2: Whip the coffee together with the condensed milk. 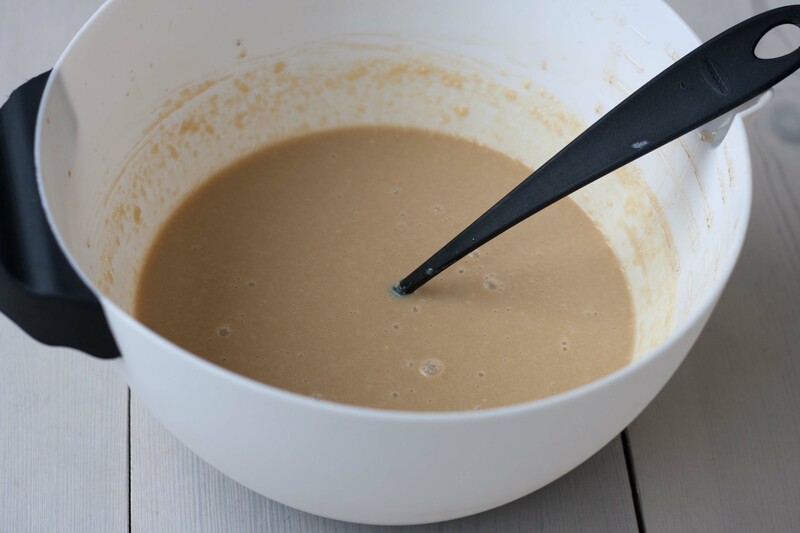 Then whip the cream in the coffee/milk mixture. The mixture is now ready to be frozen into a delicious ice cream. Step 3: If you have an ice cream maker use it to freeze the coffee mixture. If you don’t own an ice cream maker you can use your freezer, just remember to stir in the ice cream every 30 minutes or so. When the ice cream starts to freeze and the consistency get thicker add the chopped chocolate. If you add the chocolate too early it will fall to the bottom of the ice cream.